The question of whether or not your degree matters is a question that carries a lot of weight. Some take pride in their degree/s and the livelihood it has contributed to, while other graduates may feel misplaced, lost, or ultimately questioning their effort in acquiring their degree. One of the most significant decisions an individual makes includes whether or not to attend college, which college to attend, all while determining an area of study designed to set one fourth in their career goals. Thus, this question is simply not answered with a ‘yes’ or ‘no’. If a degree matters, why have so many people found success without one? If a degree does not matter, why is everyone spending their time and money pursuing them? Perhaps a better approach to this question would be to explain, When your degree mattersvs. When your degree does not matter. The reality is, many elements of your degree will vary by the industry you pursue as well as how you pursue that industry. These two categories shed light to the unique circumstances that we find ourselves in when it comes to our individual career paths. A Bachelor’s degree is often times considered an expected prerequisite for entry-level jobs. Degrees can contribute to a higher salary. 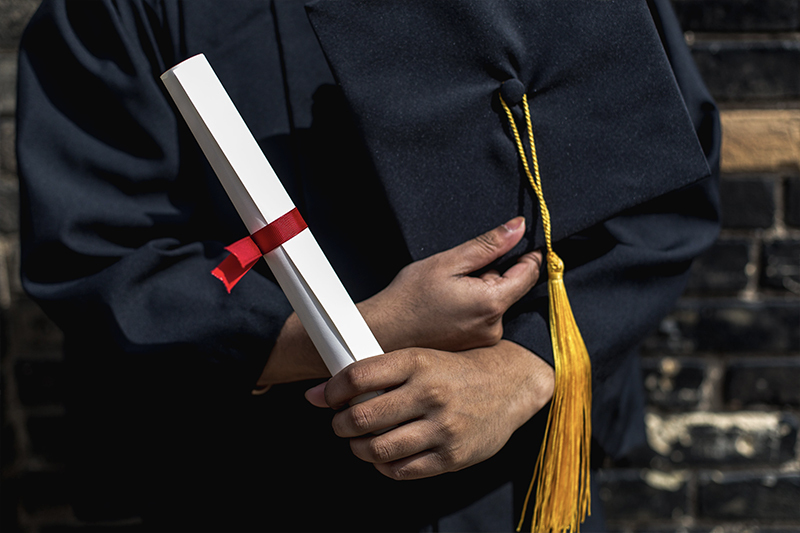 Time spent obtaining a degree can include valuable knowledge, lessons, networking, and stepping stones that have the ability to better guide an individual to their industry. Education can create confidence. Time and effort spent in school can be an investment for the future that adds an edge of accomplishment to the character of a job seeker. When an individual is up against another candidate of similar capabilities the candidate with a minimum degree requirement, advanced degree, or best fitting degree is more likely to be chosen. Real-life work experience has the possibility to impress in a way classroom experience does not. Many employers seek work experience in their candidates (Tip: combining both education and work-based learning can create the ultimate package of certificate and skill). Not all industries require degrees that match. A category of degree does not always have to be relevant to the area of work you desire. Individuals reach maximum performance in areas of passion and purpose, not necessarily in the areas they went to school for. College majors may take a silver medal while network and managing it will take the gold. 72% of millennials ages 25-32 say their degree has already payed off. College graduates age 25-32 earn $17,000 more each year. Millennials without a degree are three times as likely to say their job is just to help them get by. Almost four times more millennials without a college degree live in poverty at 22% to 6%. The monetary value of a high school diploma is falling. The unemployment rate for millennials without a college degree is three times as high than those with a degree (12.2% vs 3.8%).